Let’s face it, sometimes talking to someone who is deep into tabletop games is like speaking to a space alien. The tabletop hobby is heavy with jargon, not all of which is self-explanatory or accessible to newcomers. In the interest of bridging that gap and welcoming potential newbies to this exciting hobby, we’ve compiled a glossary of useful terms for your perusal. 4x - A genre of games that centers around the following four concepts: eXplore, eXpand, eXploit, and eXterminate. In this genre, each player takes charge of an empire, army, country etc. that they must develop while competing against one another. Sometimes also referred to as “civilization building” games. Example of a 4x game: Scythe. Abstract - A game of strategy in which theme is absent or unimportant. Abstract games often focus on pure mechanics, often with little to no random elements, and minimum aesthetic design (except to differentiate the roles of each component within gameplay). Chess and Go are perhaps the most famous examples of this kind of game. Example of an abstract game: Hive. Ameritrash - A sometimes derogatory term for “American-style” produced board games. 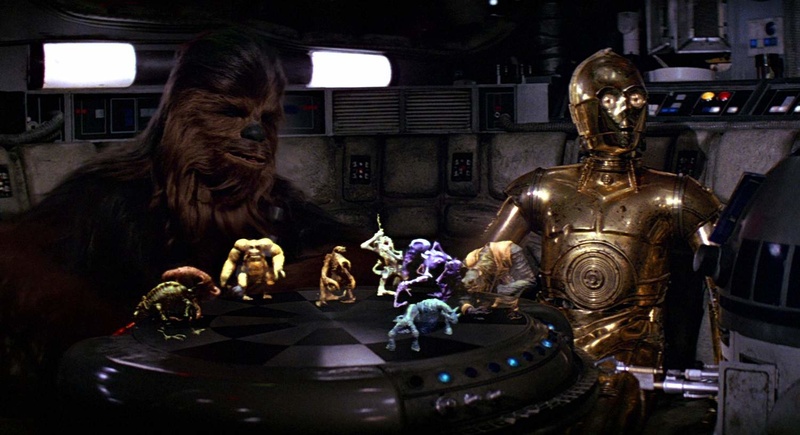 These games often have a prominent theme, emphasis on inter-player conflict, an abundance of luck based mechanics, and a large amount of components (often plastic pieces or miniatures). The term is often highly subjective, and its definition may vary between gaming communities. An alternative term for “Ameritrash” is “Amerigame”. Example of a Ameritrash game: Mansions of Madness. Analysis Paralysis - When a player finds themselves stuck analyzing all of their potential moves. If you’ve ever seen another player sitting across the table, eyes frozen on the board, biting their thumb, and muttering “but maybe if I do this…” while everyone waits for them to take their turn, you’ve seen someone suffering from analysis paralysis. Beer & Pretzels Game - A casual game that is light on rules and strategy, short to play, and often containing pronounced random elements. The kind of game you play when you don’t feel like playing something that you have to focus too intensely on. Great for casual get-togethers and parties. Example of a Beer & Pretzels game: Epic Spell Wars: Duel at Mt. Skullzfyre. d6 (d8, d10, d12, etc.) - A common shorthand notation for a six-sided die. Other, similar shorthands refer to other types of dice with varying amounts of sides (d8, d10, d12, etc.) with the “d” standing in for the word die, and the number denoting the number of sides that the die has. Dexterity Game - A style of board game that is based on coordination and physical interaction with the game components. Often played in real time rather than in turns. Speed and precision are paramount in this kind of game. Example of a Dexterity game: Jungle Speed. Euro Game - Euro-style games are a genre of board game that prioritizes elegant mechanics over theme and aesthetic (though this does not mean that there aren’t some extremely thematic or beautiful Euro games out there). With little to no random elements, gameplay is designed to run like a Swiss watch. Player elimination is rare in Euro games, with victory often being decided by who has accumulated the most “victory points”, earned by outplaying your opponents. Also sometimes called “German-style” after the country in which the genre was popularized. Example of a Euro game: Power Grid. Impress The Judge Game - A style of party game wherein players take turns being the “judge”, deciding which of the other players wins a round of play based on how well they think they played the game. Often humorous in nature, with the judge deciding which answer or combination of cards is the funniest, earning that player a point. Best played with friends. An example of an Impress The Judge game: Red Flags. CCG - A Collectible Card Game. A card game in which players collect cards, often randomly acquired by buying booster packs, and use them to compete with one another. Example of a Collectible Card Game: Magic: The Gathering. Cooperative - A game wherein players work together to achieve a common goal. In this genre, the game itself acts as the antagonist, and the players must work together to defeat it. Its sister term, “semi-cooperative” describes a board game that is still largely cooperative, but which also contains competitive gameplay elements. Example of a Cooperative game: Pandemic. 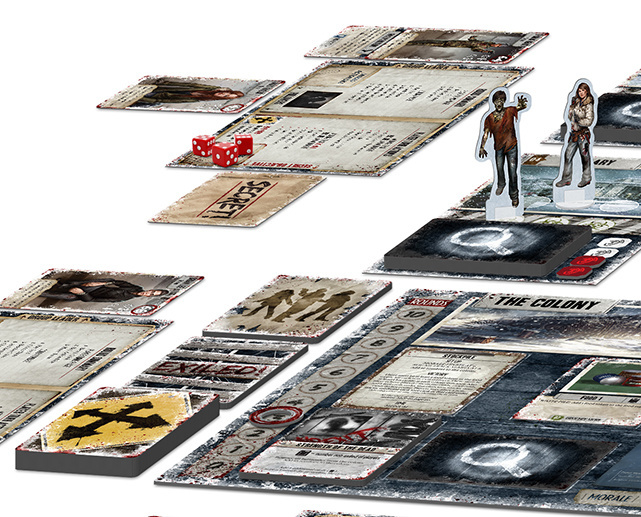 Example of a Semi-cooperative game: Dead of Winter. Deck Building Game - A card game in which the players build their deck of cards as they play. Players draft cards from a central pool, either selecting, buying, or trading for them, in order to make their decks more effective. Can be either cooperative or competitive in nature. Example of a Deck Building game: Dominion. Dudes on a Map/Board - A type of game (usually a wargame or Amerigame) wherein a multitude of pieces, or “dudes”, are placed on the board. Gameplay consists of your “dudes” battling or competing with the other players’ “dudes”. Examples of a Dudes on a Map game: RISK. LCG - A Living Card Game. A game similar to collectible card games, except that new cards are obtained by buying set packs of cards or expansions, rather than via randomized booster packs. That way the player always knows what they are getting with each pack. Example of an Living Card Game: Legend of the Five Rings LCG. Legacy Game - A game whose rules, components, or narrative change permanently from game to game. These games are meant to be played over numerous play sessions, with the results of each game effecting the next. Often, the components themselves also go through permanent changes, with game cards being destroyed after use, stickers being placed on the board to denote changes, and new rules being written or pasted into the rulebook, changing the way that the game is played during the next session. The biggest downside to this style of game is that they are usually designed to be played a set number of times. Example of a Legacy game: Risk Legacy. Mechanic - In board games, a mechanic refers to a specific element, system, or mechanism of play. For instance, rolling a dice to produce a result (such as moving a piece on the board) is one of the simplest and most common game mechanics. Mechanics are often not unique to a single game, but are used across many games, with many individual variations. Mechanics are one of the many criteria by which game genres are defined. Meeple - A small figure, often made of wood, that is cut in the shape of a human. The word was coined in 2000 by Alison Hansel as a combination of the words “my” and “people” regarding the little wooden figures found in the game Carcassonne. Meeples are found in many games, especially in the Euro (see above) genre. Modular Board - A game in which the board is constructed out of individual pieces, rather than a set configuration. A new board is constructed for each game that is played. Often adds variety and replayability to a game but also a higher degree of randomness. Examples of a game with a modular board: Twilight Imperium. Quarterbacking - When one player, unsolicited, tells one or more other players what to do with their turn. A form of “backseat driving” but for board games. Quarterbacking is a distinct behaviour from teaching newer players the game, or aiding a player in making a decision when they ask for help, both of which are generally considered healthy and helpful ways of engaging with other players. Solitaire Game - A game that is designed to be played by one person. Some games come with optional solitaire modes. Example of a primarily solitaire game: One Deck Dungeon. TCG - A Trading Card Game. These games are very similar to CCGs (see above) except that they also contain an emphasis on the act of trading cards between players. The distinction between the two is often subjective. Example of a Trading Card Game: The Pokémon Trading Card Game. Tile Placement Game - A game in which placing tile pieces on the board or table forms a large portion of gameplay. Players score points or gain other benefits through strategically placing tiles in the most advantageous positions. Example of a Tile Placement game: Patchwork. War Game - A genre of game that focuses on simulating war and battles, with players taking on the roll of belligerents in the conflict. These games are often based on real life historical conflicts (although fantasy, science fiction, and alternate history war games are not uncommon), with the rules reflecting the technology, strategies, and comparative strengths of the various factions that took part. War games often tend toward the “heavier” side of board game complexity, though this varies quite a bit from game to game. Example of a War game: Axis & Allies. Weight - The relative complexity of a game’s mechanics. A heavier game is a game with more or more highly complex mechanics, whereas a lighter game has fewer or less complex mechanics. Heavy games tend to take longer to teach, learn, and master than light games. Often listed on a relative scale of 1 to 10 by reviewers. Example of a “heavy” game: Food Chain Magnate. Example of a “light” game: Love Letter. Worker Placement - A genre of game where players take turns placing their pieces (workers) on the various game spaces in order to claim resources and territory, while at the same time, trying to prevent their opponents from doing the same. Often associated with Euro-style (see above) games. Example of a Worker Placement game: Lords of Waterdeep.